Families that have full time care during the academic year can often need extra help when school is out, and ABC Nanny Source can help find the perfect Summer Nanny in DC! As a Summer Nanny in DC, Nicole spends her time wisely, making each day count for the children. "I absolutely love caring for people. I love working with children and even young adults and I love making a difference! It is where I am most comfortable in a work environment. I have also helped many family friends care for their children on an as needed basis. I have a 6 year old nephew who I am very close with as well. I am very patient, responsible, organized, kind, reliable, calm, clean, mindful, and energetic. I believe a sense of humor is important, too! If I was asked to describe in one sentence the reason I have chosen to be in the Nanny profession over any other, it would have to be because I feel this is the best suited work environment for me. I have been serving in some form of childcare experience for over 10 years and can honestly say I love what I do! I feel that children are great to be around and important. My goal as a Nanny is to be a responsible caregiver children can look up to and enjoy being around. I want to show them positive things in life. I am also willing to do housekeeping and cooking. If I had to describe myself in five adjectives I would say that I am organized, calm, patient, friendly, and professional. If asked to describe the perfect family seeking a Nanny like me I would hope they would be inviting and kind." "Nicole has cared for my daughter for the past three years on an as needed basis and also my son since he was a newborn. Nicole has proved herself to be an extremely responsible, reliable and trusted individual. Nicole has such a natural affinity with children and provides both fun and structure for them. My husband and I feel fortunate to have had such a caring and charismatic woman like Nicole to be part of our children's lives. She is by far the best caretaker we have had and are saddened that she no longer lives locally. 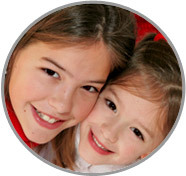 It would be my pleasure to recommend Nicole as a Summer Nanny in DC for any child." "Nicole has been providing childcare for my daughter for a few years now and she is really great with her! My daughter always enjoyed her time spent with Nicole! She would help her out with homework and always had fun activities to do! I was very happy to have her and wish I could still have her help me out. She is very responsible and trustworthy!" "Nicole is one of the most reliable people I know, and would be great as a Summer Nanny in DC. She is caring, gentle and selfless. We have been friends since we were teenagers and throughout our college careers. Due to my pregnancy, I delayed graduating college for a semester and when I returned, I had a Nicole as a built in caregiver whenever I was in need. Nicole has treated my daughter, Elizabeth, as if she were her own family. I was always able to count on her if I needed help. If it were not for Nicole I do not believe I would have been able to complete my schooling. My daughter is now 5 and she misses her Aunt Nicole since she has moved. Nicole calls her every week and my daughter could not be happier! I hold her in the highest regard and she would make a wonderful addition to your family." "Nicole was very responsible with my son; she was also very helpful around the house when it came to cleaning up after him. She was always very punctual when it came to arriving at my house to care for my son as well as getting him to extracurricular activities on time. My son was and still is very fond of her! He really enjoyed spending time with Nicole on the days she would watch him. I never ever came home to a messy house and I always had a happy little boy, which is extremely important to me! Nicole is a very pleasant person to be around and I had nothing short of a wonderful experience with her! I would recommend her to any family." "I’m a single mother with three children, and I have known Nicole for several years. I have watched Nicole grow into the mature adult she is today. Nicole has been the only nanny I have loved and completely trusted in my home. Nicole helped with homework, outside activities, coloring, and took them to and from school. My children have learned so much from Nicole and loved spending time with her. Nicole is a trustworthy, caring person. Having her around the house made my life so much easier! I am thankful I had Nicole care for my children! I highly recommend Nichole to any family in need of a Summer Nanny in DC!"